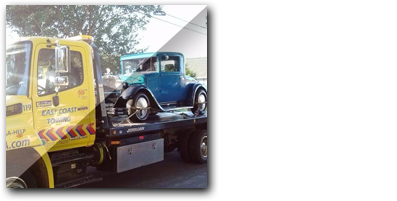 Since 1998, East Coast Towing has had superior customer service with competitive prices in mind. We can bring gas, change tires, unlock your vehicle, check your battery or jumpstart your vehicle. If your battery needs replacing it can be done at the scene or it can be towed. Our goal is now and always has been to have a completely satisfied customer every time we get a call. Being stranded is stressful enough without the appearance of a rude, ill-equipped tow service. 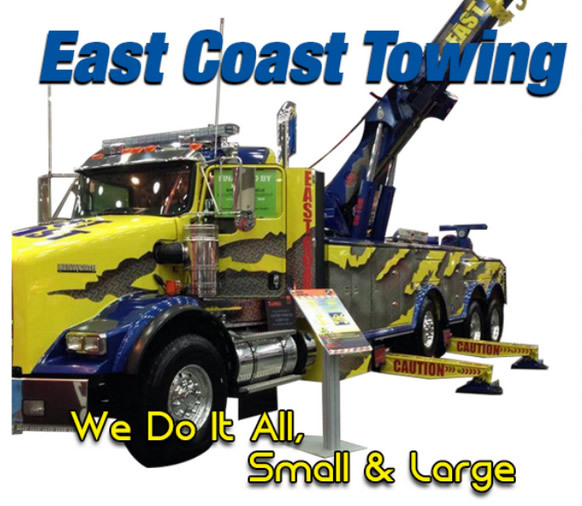 We can assure you that East Coast Towing will provide all of the services and exceed your expectations. Something is different about East Coast Towing. You may be serviced by our Pink Truck. Why have a pink truck? Because East Coast Towing realizes that giving is an important aspect of any business. We are pleased to make donations to organizations that are either assisting individuals or doing research for patients with breast cancer. It may seem like an overly simplified answer, but it comes from the heart. It is a simple procedure. 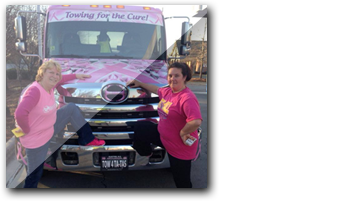 When the pink truck answers a call, $1 will be donated to a designated charity. The truck is available five days per week. It will be available for daily calls. The pink truck has the capability of making 200-300 calls each and every month. East Coast Towing will donate up to $1250 every quarter to the designated charity. Our pink truck has a supply of pink envelopes that our customers can use if they choose to make a personal donation to the fight to prevent and cure breast cancer. Each quarter will have a different selected charity. Third quarter is 1 in 9. For additional information, or to add your charity, you can call Jessica Best at (919) 835-0705. It is possible for you to request the pink truck. In the event that the pink truck is not available, there will be pink envelopes in any truck that answers your call. You can use these envelopes to make your donation. Our drivers turn in all of the donations they receive at the end of each shift. Your check will be your proof of the donation for tax purposes.